Please take a look at another article on this subject. A Complex Redesign Made Easy! Okay, you are a Solidworks clone users and you have an extensive change to an existing product, would you export it and bring it in as a dumb file? 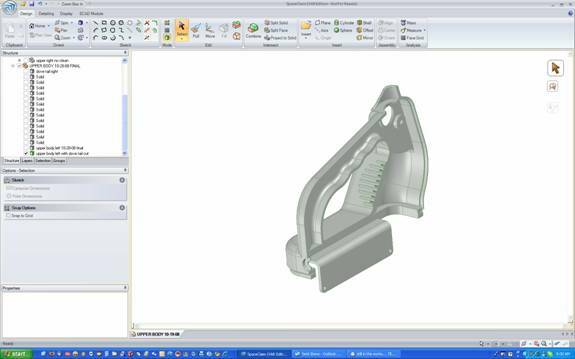 Of course not, even though your Solidworks Clone may have direct edit functionality, it wouldn't come to mind as an option. That is exactly what I did when I wanted to see the capabilities of SpaceClaim direct edit only package, even though this was originally done in IronCAD. Just think no history to contend with, just directly editing the parts, pure design. 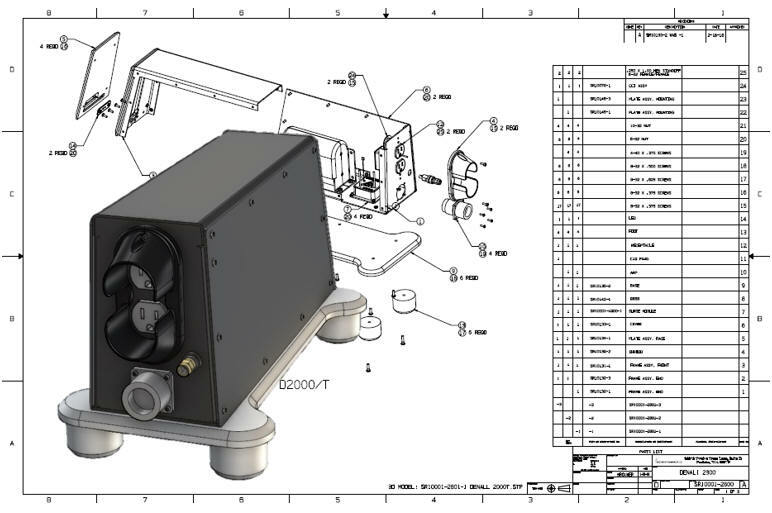 As you know it takes an actual real life project to learn a new CAD system. Besides IRONCAD, I have never really used a history based product. 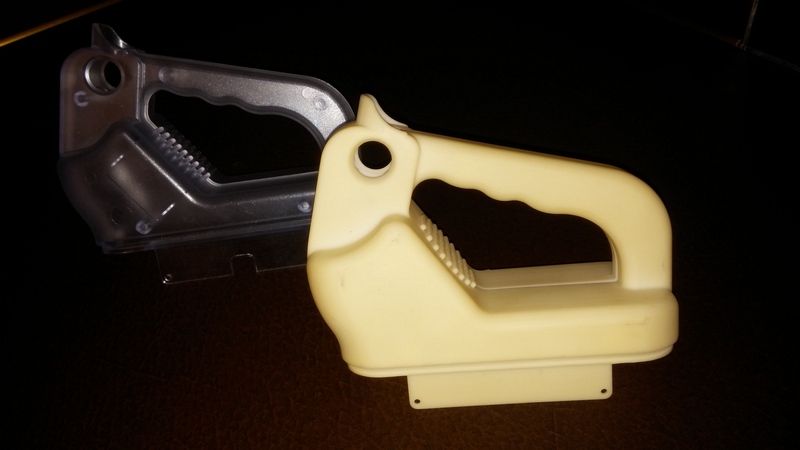 My experience with Pro/E, Solid Edge, Inventor and Solidworks have been brief. Not so much that they can't do the job, but there just seems to be so many hoops to jump through to do a simple design and to do a change on a complex part can be formidable. I also never warmed up to the separate Part, Assembly and Drawing design environment. I have always had direct edit functionality available to design my parts and assemblies in one file. 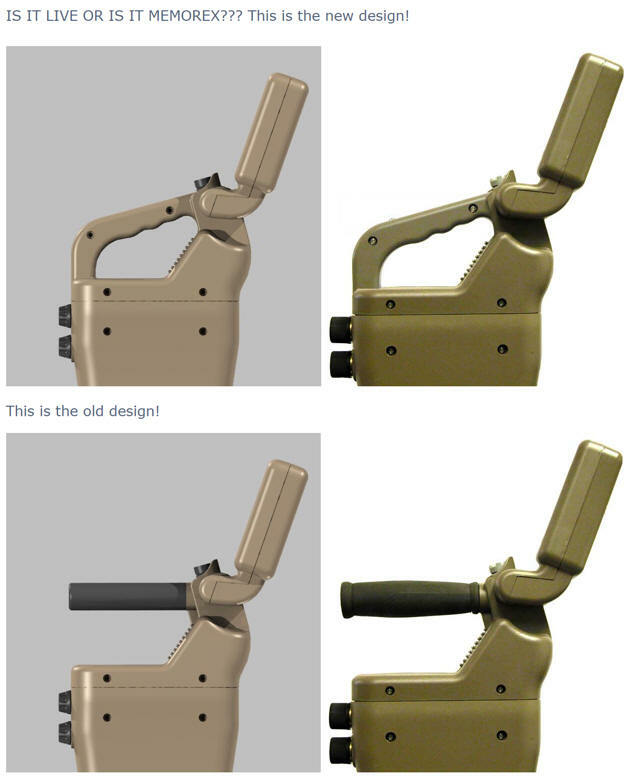 I realize that many in the industry have never known that you could design this way. The original project was done in 1998 and we did the modification in 2008, it is actually quite amazing that parts from 10 years ago can be so easily modified. This modification was done with SpaceClaim, it was originally done in IronCAD. I took SpaceClaim on as a product in 2008. It is a well known direct edit only package. I found that SpaceClaim did not add any capability to what I was already providing my customers. IronCAD could do all of the direct editing just as well and also includes the added flexibility of history based design. IronCAD is the only system that has true integrated history and direct edit functionality and both are used in the design process. When Larry Smith requested this change and I thought it would be a good time to learn SpaceClaim. Direct editing is very easy to use and very generic. It took me around 6 hours to make this change while learning the program. All direct edit packages have similar operations and it is very easy to get up and running in the different packages. I like to say "There are very few complex parts with direct edit." As compared to the sketch, sketch, constrain, constrain world of a history only system. THE ORIGINAL LINEFINDER!! Take a look at our website at this project, it is a great story. THE PROTOTEK PROJECT REVIEWED!! Is it live or is it Memorex? 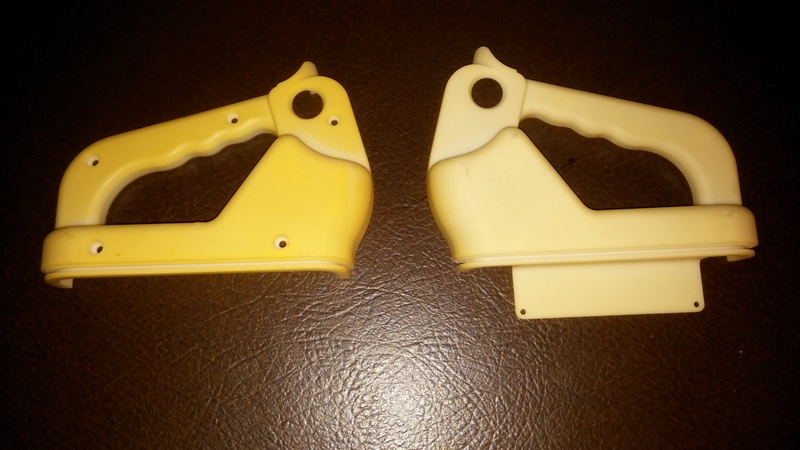 After years of successful sales, my good friend, neighbor and customer, Larry Smith, President of Prototek contacted me to modify the upper body of the Linefinder. This was going to be an extensive modification of the handle. It would be almost an impossible task in a history based system. I imported the part using ACIS for the translation and started modifying the parts. This project was a bit complicated since there was draft everywhere. The original part. Modified part. Step One. Started Cleaning things up. More Clean up. We develop the new handle. taken from the original part and then subtract the right in left side. dovetail to create the mating groove. 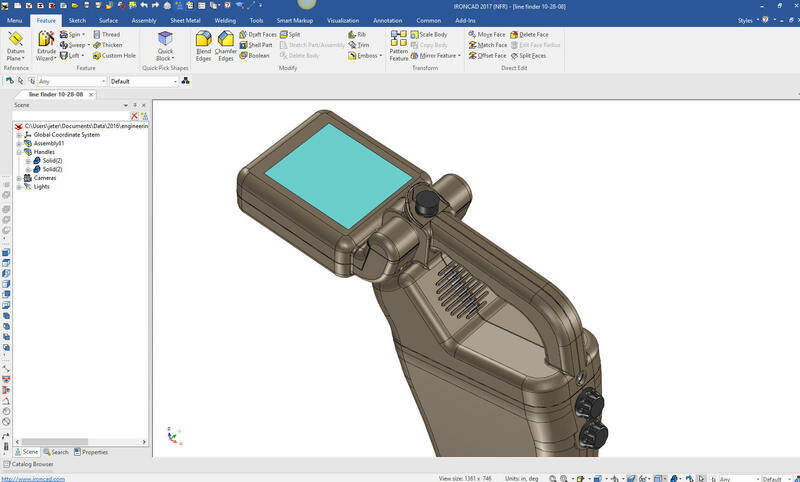 As you can see this would be a horror show in a Solidworks clone. It took me about 6 hours. I have a few more dove tails to put in. The customer was elated. 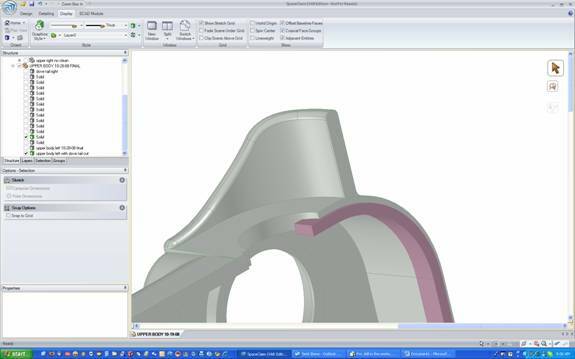 I could do this with a part from any 3D CAD system, many times reading the native CAD file directly and making the changes faster than could be done in the native CAD system. What happens when you don't have the original Software? I lost my SpaceClaim license years ago. I never did buy a seat. I usually buy a seat of the software I sell. But I found that SpaceClaim was not a product I was willing to use in my engineering department. Direct edit only is like having only half of a design solution. 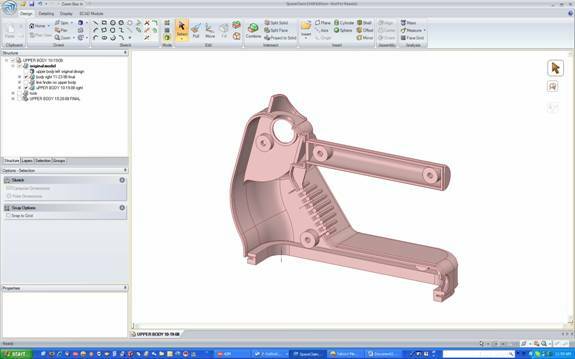 IronCAD offers the best of all 3D CAD worlds. After I completed the project I just exported it to IronCAD. I have the complete design in IronCAD and can modify any of the parts. IronCAD is a true single model environment, so I don't have to worry about keeping track of the single parts, all parts reside in the one file. 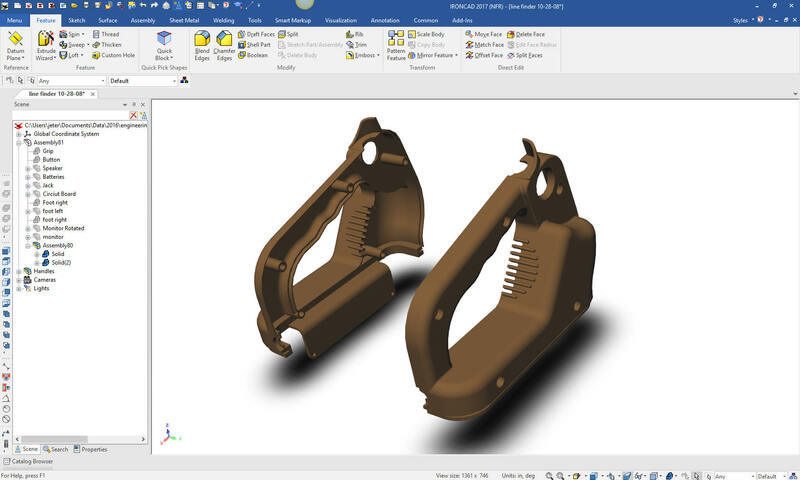 You can see both parts now are in IronCAD, ready for any changes the customer may request. 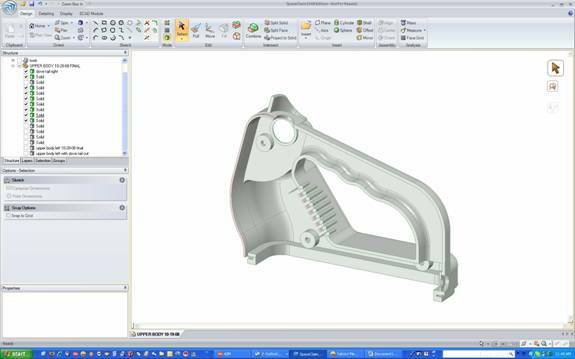 This is design flexibility not found in the Solidworks clones. The one important fact is that IronCAD can read all of the popular CAD packages native files. Legacy data is not a problem. Imagine having a system that the design is instantly available to change with no need to go through a complex list of features to understand before attempting any change. 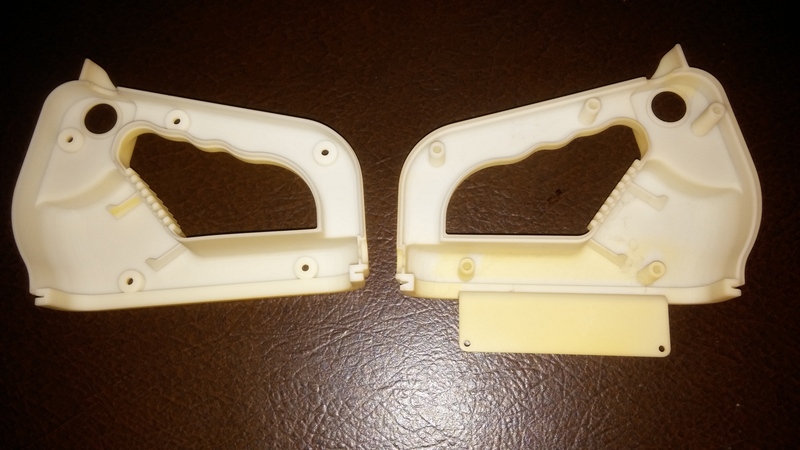 Here are some photos of the 3D printed parts and the molded parts. 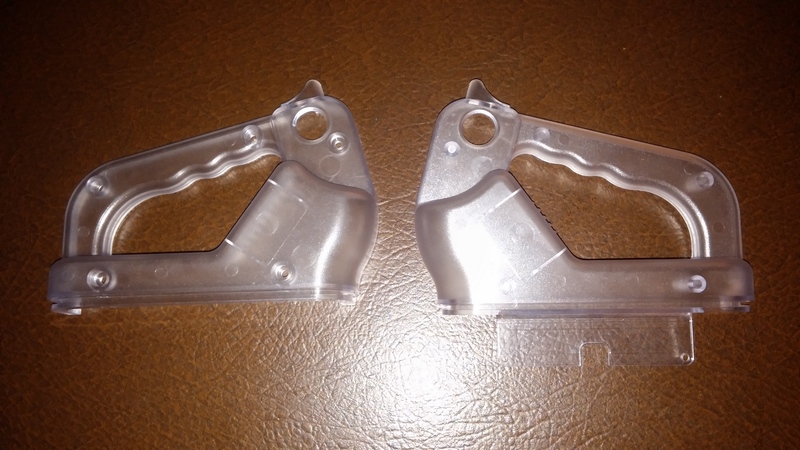 Molded parts - Notice that the bosses were revised by the mold designer. 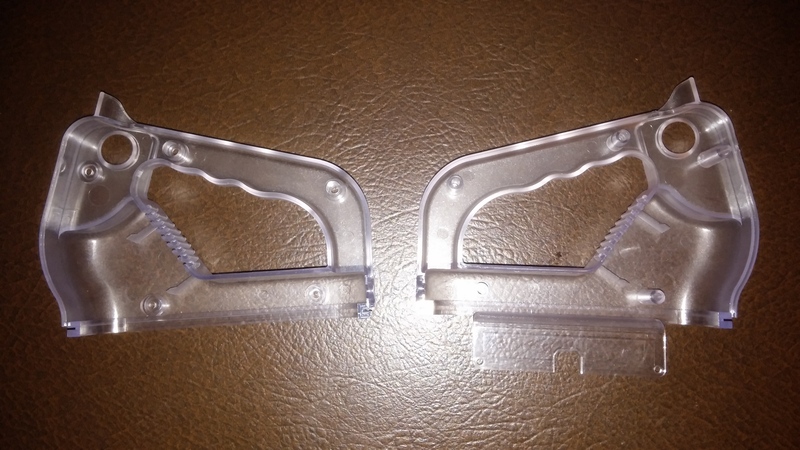 Both of the handles assembled. If you are having a problem with your existing system or would like to investigate solutions that may streamline your operation or increase your productivity. Please feel free to give us a call and we may have an easy, inexpensive solution. The Worst to Best CAD System and Why! Please review our "Leverage Your Engineering Data Series"